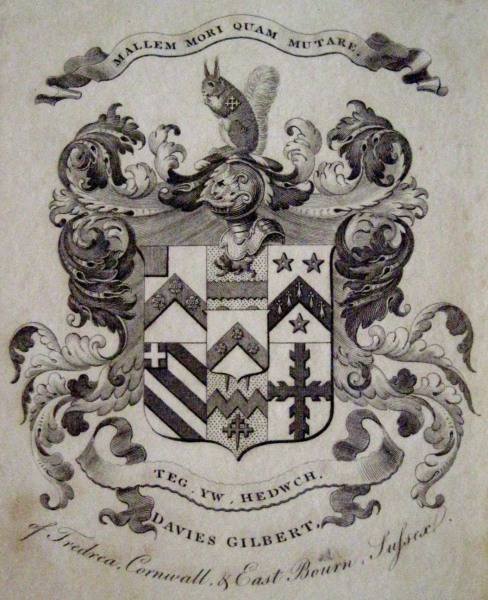 The bookplate of Davies Gilbert PRS (1766-1839), formerly Giddy, is on sale at eBay, the vendor is bungalowblondie2. Davies Giddy was the only son of Rev’d Edward Giddy and Catherine Davies. Catherine was heiress to her father and was one of the co-heirs to the Barony of Sandys of the Vine which fell into abeyance in 1683 after the death of the 8th Baron. In 1808 Davies Giddy married Mary Anne Gilbert. 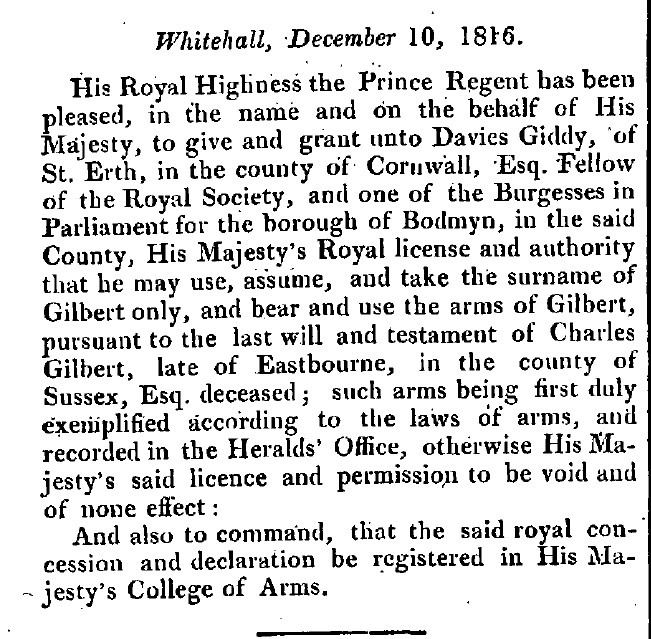 Following the death of Mary’s uncle, Davies Giddy took the Name and Arms of Gilbert. Their children bore the Arms without the canton Gules for difference.